Almost all industries focus on advertising and profit with digital signage. Keyword here being "almost" as there are some that focus on neither, one of them is nearly every education establishment. Colleges are the ultimate information place. Why not spread relevant information at places where people spent most of their time. College campuses, cafeterias and lounges are ideal locations for digital signage. Chalk and board are so 1801, and let’s be honest, pen and paper banners aren’t doing the trick anymore either. Although our brains are not much different from those 200 years ago, they easily get affected by complexities of the modern age – simple methods aren't enough anymore! Aside from the obvious – displaying information – digital signage has many practical uses in universities, colleges and schools. Let's start with the main advantages of digital signage on an average college campus. No campus is the same, but digital signage applies to them all. A great example is the West Virginia University, which used digital signage to promote security awareness, among other topics and even went beyond casual digital signage to accomplish the goal. Digital signage easily finds many uses in education establishments by providing an information network, making it easier to reach out to the community. What's the college campus audience? Digital signage for campuses is somewhat difficult to establish. Although the audience consists of young students in need for information there are certain individual points each audience has. It's important to focus on the needs of your audience! If there are many non-English speakers, the information should be displayed in different languages for example. Interactivity, video, audio and other features can all play a valuable role, but it's important to determine if they will be beneficial in the long term. If there are many students who travel bus schedules can definitely be of use. Social media, marketing, teaching partnerships, information on various courses are some of the many features digital signage can be used for. As far as education is concerned, it can greatly affect student activities. In schools with a weak information structure, students often find themselves excluded from activities they may have wanted to participate in. Digital signage can help bridge the gap and communicate to the students more easily. Digital signage is a big investment and in High Schools efficiency is questioned. After all High School students are very much different from College students in the means of dedication and motivation. You can lead a horse to water but you need a team of psychologists to motivate a high school student. 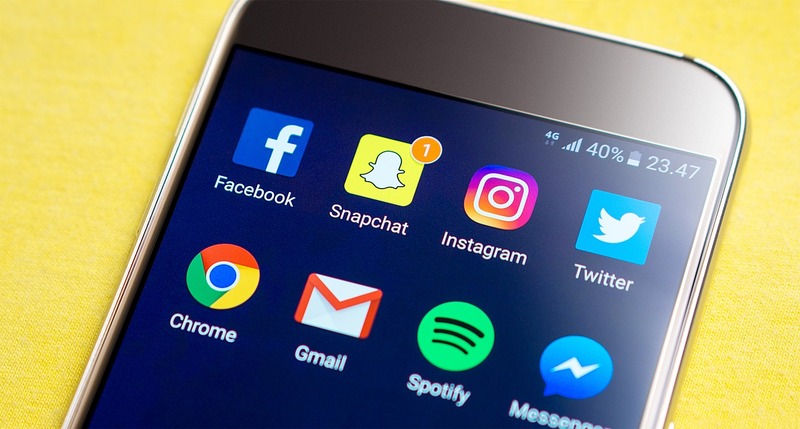 With Twitter, Facebook, iPads, iPhones, Androids, Windows, Instagram and about a dozen other media representing the modern age, schools need to use flashy technology to keep up. Despite how that last one may seem, it's appealing to the student body when they actually see relatable information in their school. It feels more personal which motivates students to keep the school in a higher regard. It’s important to take the comfort of the audience into account. Here is an additional detailed view on advantages of digital signage for schools. This is a very strong reason to use it in education. It's safe to say that digital signage can benefit every industry in spreading awareness and information, but education appears to be a vast proving ground. Schools, colleges and universities, more than any other institution, have various applications which really depend on each individual establishment. 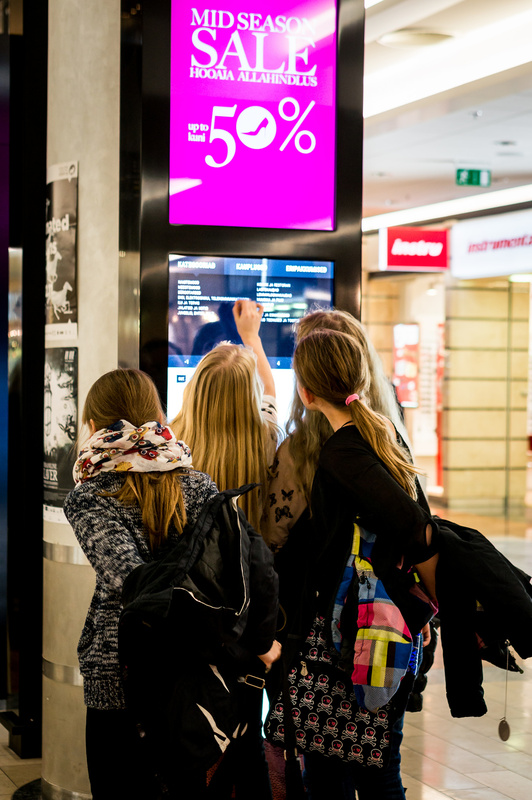 The beauty is that digital signage can be adapted to benefit them all! They are interested in cost, to put it that way, which is why educational establishments don't easily leap into spending funds on a new system, and additionally training staff to operate systems unless absolutely necessary or a clear benefit exists. 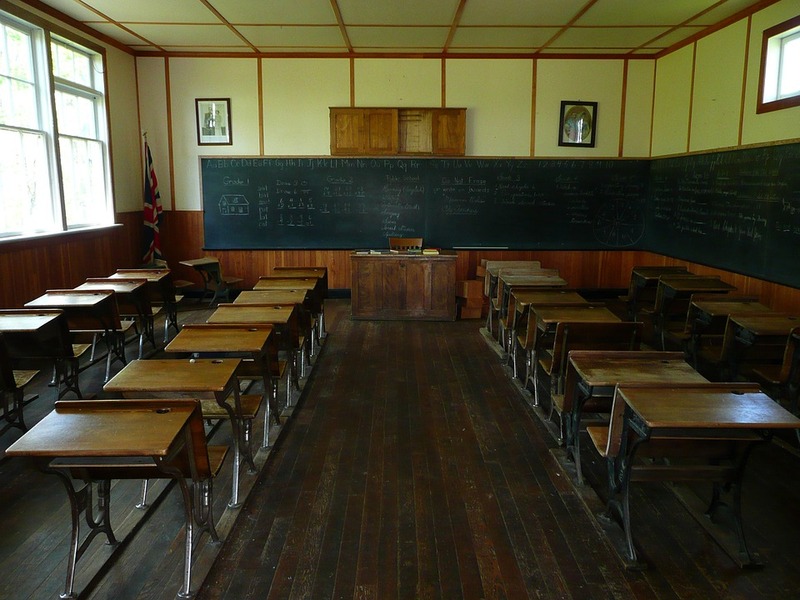 Alan C. Brawn wrote a detailed post on digital signage presence in the education market focusing on how and why it might benefit from it. Digital signage is very adaptive! I say this because many times people think it can only be used for a handful of things. Think of it like a smartphone and the App Market. Doesn't appear as stiff anymore, does it? Let's look into other uses digital signage can be applied to. They're like ordering something really expensive, and also focusing on the bubble-packaging it came in. A useful (as well as recent) feature for digital signage is wayfinding which we all seem to rely on more each day - I think I'm the 2% of people who prefer to not use a GPS for every mile I drive. A company called "Here" is offering an Android app which provides indoor 3D mapping of larger grounds like malls or college campuses. Just what we're looking for, right? If your audience can benefit from this feature it's well worth a second look. The cost for the service spans from $59-$399 (per month), 90-day trial included. Note their love for the number nine. Speaking of nines check out the article on sixteen-nine.net for a more detailed commentary. Social media is a common tool in most aspects of the 21st century. Almost every student uses some form of it for staying easily informed on nearly everything. Schools and universities having a social media presence is common news in today's time. Students are very tech-savvy and reached out to more easily, which motivates establishments to adapt and focus on technology as well. Informing may be the main goal, but every student feels more comfortable when their own establishment is reaching out to them. This is a more extensive matter, but it's important to mention that student-school relations have been changing for quite some time and the environment is very different from what it used to be. Colleges and campuses are virtually a permanent residence for students, and digital signage can help in making it feel like a second home. Interconnectivity is a big word, and also a very amazing one because it grants a connection between student lounges, cafeterias, libraries, lobbies and building entrances. Even multiple campuses can have shared content, depending on the establishment. Having different information at different locations is easy to manage. Information can be coordinated to be displayed at the appropriate time, during specific events and on specific locations. There's that word! And it only took us 7 paragraphs to get to it. Yes, you can also use digital signage to make a profit by advertising specific content. In the end why not? It brings the right and most beneficial products to the students who truly need them. The "college life" can certainly benefit from honest advertising which you can control and bring the students what they need. Advertise specials for students at the cafeteria, events at the box office, tutoring or any other service there is to promote. You can also step outside the campus area and give an advertising space for a third person vendor. 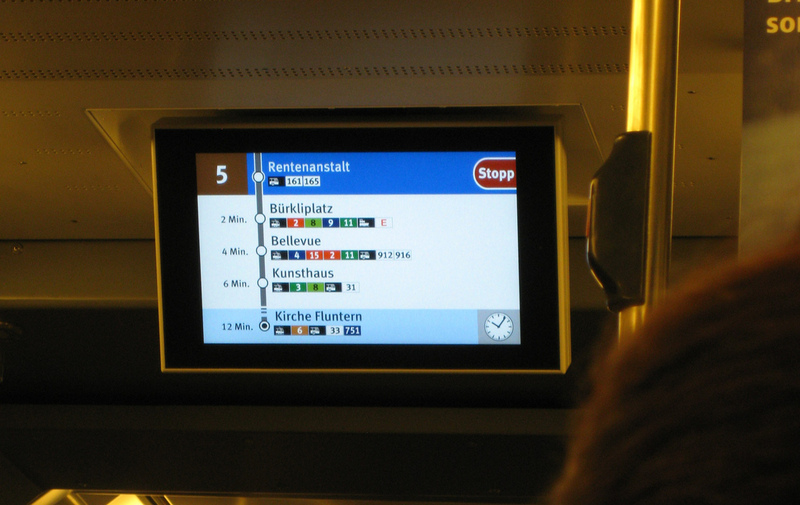 Here's a post on a few more valuable applications of digital signage on wireless networks. Images by here 360, Cryostasis, KOMUnews, Justgrimes.